Want to make your own movies? Or maybe you just want to finally burn that film collection on your computer to DVD on Mac. Whatever you want to watch, EaseFab DVD Creator for Mac does it all. Simply drag your favorite feature film into DVD Creator for Mac (macOS High Sierra supported), adjust the quality and click burn. Or use DVD Creator's powerful built-in editor to combine your own photos, videos and music into home movies, slideshow, really whatever your imagination can handle. Want to make your own DVD movies with video or photos you shot? Or just you want to burn your film collection to DVD? EaseFab DVD Creator does it all. 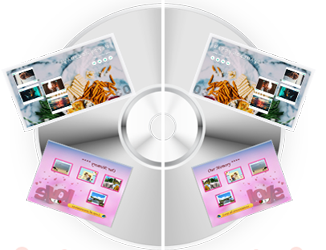 With broad format support, you can just need to simply drag the original files into DVD Creator, adjust the quality and click burn to save your precious memories into playable DVDs. Before burning, you can customize it with free DVD menu template and your favorite tracks, along with the built-in video editor. Standard Video: AVI, MP4, M4V, MOV, MKV, FLV, WMV, MPG, MPEG, VOB, DV, NUT, FLV, 3GP, 3G2, DAT, TP, ASF, DVR-MS, MOD, TOD, RM, RMVB etc. EaseFab DVD Creator for Mac also comes with a built-in editor which lets you touch up films or craft your own. Add image and text watermarks to videos to identify each film as yours. Free static and dynamic DVD menu templates are included, or just leave off the menu entirely. Customize the thumbnails, buttons, frames and text of your DVD menu. Personalize the DVD menu background image and music with your favorite picture and song.ext of your DVD menu. Check the preview of your project with the real-time effects before burning all your amazing works onto DVDs. Ultra-fast DVD Burning speed provided due to the advanced DVD creating technology applied. Support all popular recordable disc types: DVD–5 and DVD–9; DVD-R, DVD+R, DVD-RW, DVD+RW, DVD+R DL, DVD-R DL, DVD-RAM. Beyond DVD burning software, EaseFab DVD Creator also provides some useful tools making it the best value of money DVD burner. Burn ISO files to DVD with simple clicks. Burn files to Data Disc for backup. Create stunning photo slideshows with music. Insert chapters to long video automatically or manually. 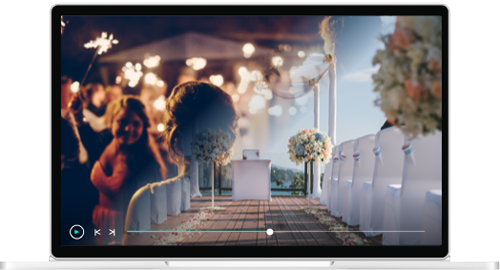 Trim, crop videos, add audio, apply effects and more. Easy-to-use DVD creator with simple interface and clear note. Version: V 5.5.8 What's new? Easily and Safetly Recover data lost from iPhone, iPad etc. iOS devices in different data lossing scenarios.